Updates to the game will be posted and can be discussed here. Greetings and welcome to development update 6! We're back with another development update. We've added a new handgun and grenade animations. 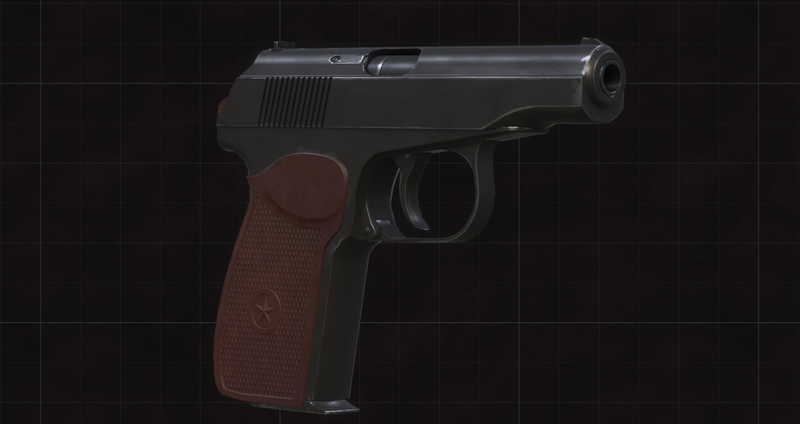 The Makarov pistol is a soviet semi-automatic developed in 1948. It became the standard issue pistol for the Soviet Union military and police in 1951. 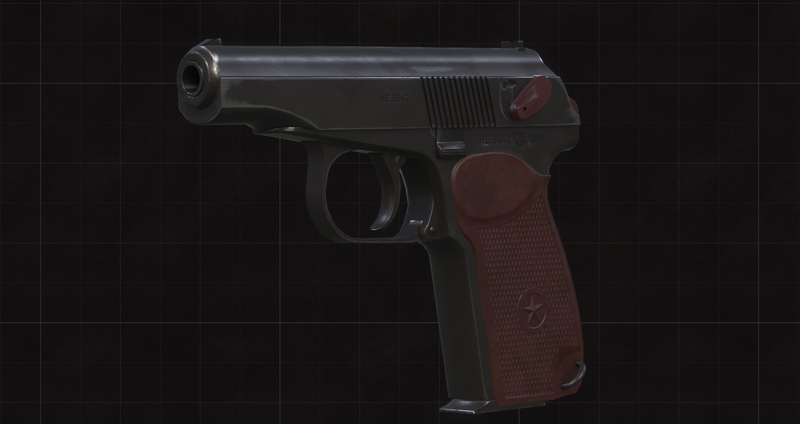 It's one of the most widespread pistols in the Warsaw pact countries. The pistol has a magazine capacity of 8 rounds and fires 9x18 mm rounds. It has an effective range of around 50 meters and a muzzle velocity of about 315 meters per second. 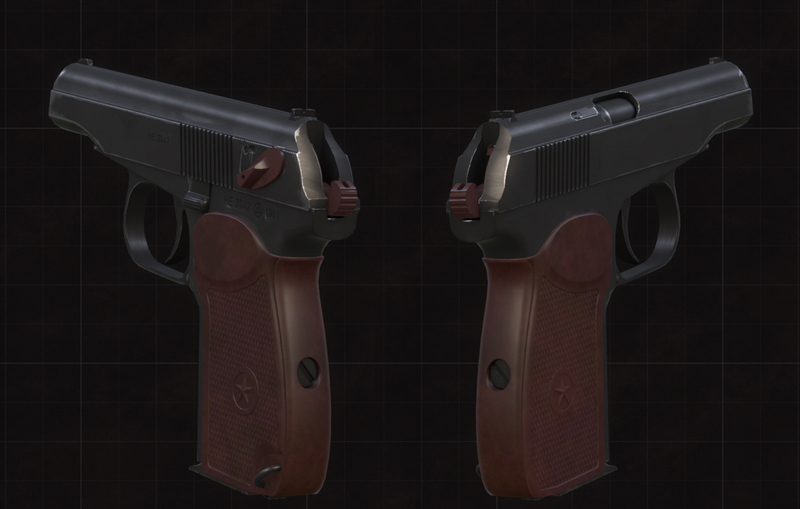 The pistol also displays our recent work with improving detail in our weapons. It shows small wear from daily exploitation such as the raw metal showing in areas that would experience the most wear. We previous showed the RGN grenade design, so today we're showing off the throwing animations for the grenade. The effective throwing range being around 35 meters, and is lethal up to 10 meters. We've also added a gas station. This gas station is modeled after an old soviet era station. 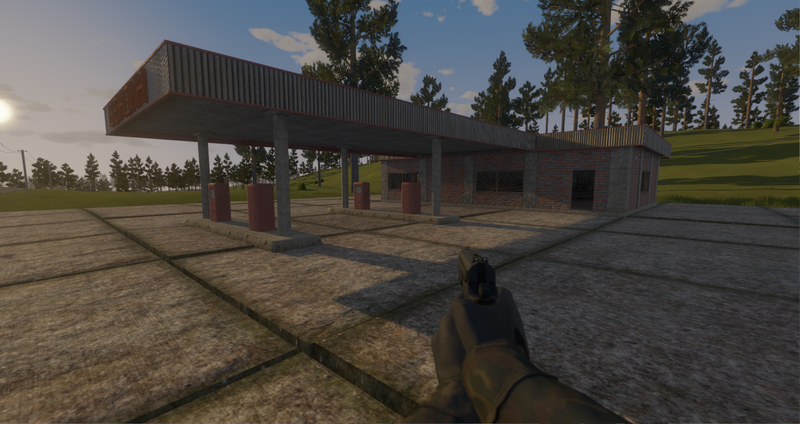 The abandoned gas station will be a strategic position for players when trying to capture a town. If you've enjoyed our update, please don't forget to leave feedback on forum, your opinion is important and helps us create the game you will enjoy!